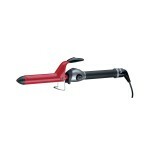 Shop BaBylissPRO® Irons. BabylissPRO® offers a wide range of professional hair irons, which use the most advanced technology to deliver exceptional results. 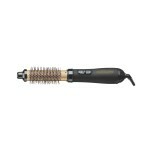 BabylissPRO® provides the very best in professional hair care tools. From dryers to crimper and tongs to brushes, BabylissPRO® have all the products you'll ever need to keep your hair styled, groomed and looking like you've just stepped out of the salon! 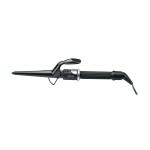 Find your favourite professional irons - BaBylissPRO® Irons! 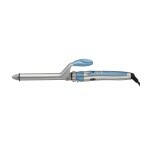 BaBylissPRO® Ceramic Hot Air Styler - BAB21000CPopular professional ionic hot air brush styler with ceramic barrel. 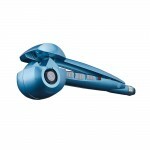 Curl and dry with negative ions for hair that looks shiny, feels silky and more manageable! 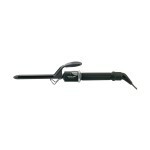 Size: 32 mmFeatures & Benefits: Smooth, non-stick ceramic barrel provides maximum heat transfer and retention for faster drying 1000 watts Nylon bristles 3 position switch (HI-..
BaBylissPRO® Ceramic WaverThis multi-functional curling iron has three barrels in one handy unit, making it easy to create a variety of perfect curls and waves. Porcelain Ceramic™ technology delivers superior heat distribution with natural ions to reduce frizz and decrease styling time. 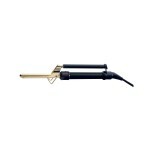 30 heat settings up to 450°F create custom curls for all hair types.Size: 22 mmFeatures &..
BaBylissPRO® Ceramic IronMarcel handle Ceramic curling iron available in 3 barrel sizes.Size: 13 mm, 19 mm & 25 mmFeatures & Benefits: 383°F (195°C) Available in 3 barrel sizes MARCEL handle with locking option..
BaBylissPRO® Ceramic IronThis ceramic curling iron's porcelain ceramic has exceptional heat distribution with increased far-infrared heat and ion production that outperforms standard ceramic! Even heat distribution eliminates damaging hot spots, while natural ions reduce static electricity and decrease styling time. 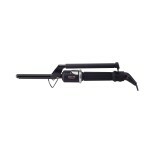 The Porcelain Ceramic™ technology leaves hair healthy, revitalized and shiny!Size:..
BaBylissPRO® Ceramic Pointy Barrel IronA specialty curling iron with a pointed barrel to create spiral curls. The pointy barrel and short clamp give lift at the root and a natural, tight spiral the length of the curl. Ceramic hot iron for faster, gentler styling without damaging hair.Size: 19 mm, 25 mm & 32 mmFeatures & Benefits: 30 heat settings On/Off switch with 2 indicator lights Dual Voltage..
BaBylissPRO® Nano Titanium MiraCurl® SteamTech™ Professional Curl Machine - BABNTMC2The BaBylissPRO® Nano Titanium MiraCurl® SteamTech™ Professional Curl Machine automatically forms one perfect curl after another. A MaxLife PRO® brushless motor, nano titanium curl chamber and a steam function provide precision curling control. 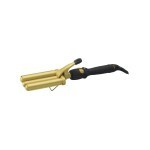 Get ultra-smooth, high-definition, shinier, longer-lasting curls.Featur..
BaBylissPRO® Nano-Titanium & Ceramic IronNano-Titanium and Ceramic curling iron with a 5" length barrel and well-positioned controls and temperature indicator light.Size: 19 mm, 25 mm, 32 mm & 38 mmFeatures & Benefits: Nano-Titanium and Ceramic infused into the barrel Temperature indicator light Available in 4 barrel sizes with SPRING handle Cool tip with innovative rim..
BaBylissPRO® ROTO-PLUS IronThis hot iron is hot in less than 30 seconds and with an adjustable electronic temperature control.Size: 13 mm, 16 mm & 19 mmFeatures & Benefits: Quick heat up 419°F (215°C) Adjustable temperature control Available in 3 barrel sizes MARCEL handle..
BaBylissPRO® Tourmaline & Ceramic IronPorcelain ceramic has exceptional heat distribution with increased far-infrared heat and ion production that outperforms standard ceramic! Even heat distribution eliminates damaging hot spots, that other other hot irons may have, while natural ions reduce static electricity and decrease styling time. The Porcelain Ceramic™ technology leaves hair healthy, revit..